We are the leading manufacturer of a wide array of supreme quality Inverted Conical Structures which are used in various commercial (or residential) building entrance, Hotels & exhibitions. 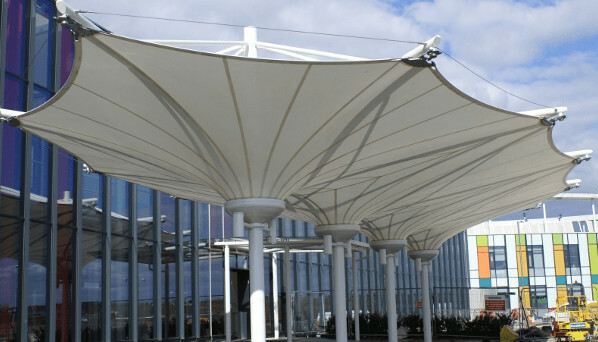 Our products are manufactured using high quality Polyester, PVDF and PVC coated fabric. Our products are highly demanded in the industry owing to its high resistance to adverse weather condition and as they are water proof. Our range of products is available at reasonable prices in order to meet the budgetary requirements of our clients.